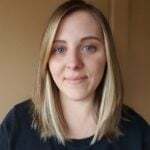 If you’re a parent, you know that urgent, scary feeling that overtakes you when your little ones stray too far or wander into harm’s way. Your protective instinct goes into overdrive, only allowing your mind to focus on one thing: keeping your kids safe. For one man, that instinct was so strong it enabled him to pull off a stunt à la Jason Bourne or James Bond. 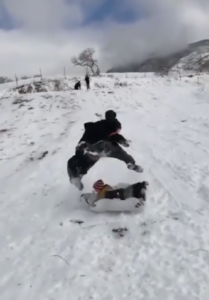 His lightning fast actions were captured in a slow-motion video that has since gone viral. 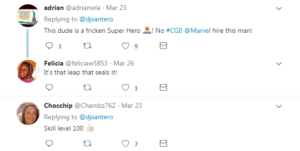 On March 23, Twitter user @djsantero uploaded the footage with the caption, “Best film I’ve seen in ages.” Indeed, it features a display of heroism you’d only expect to see in an action film. 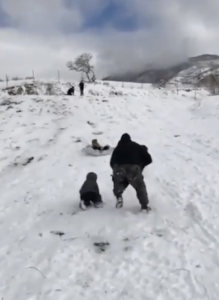 In the video, we see two small children running up a snowy hill, where another child on a sled is barreling toward them. That’s when the man — presumably their dad — runs behind them and scoops up the smaller of the two. 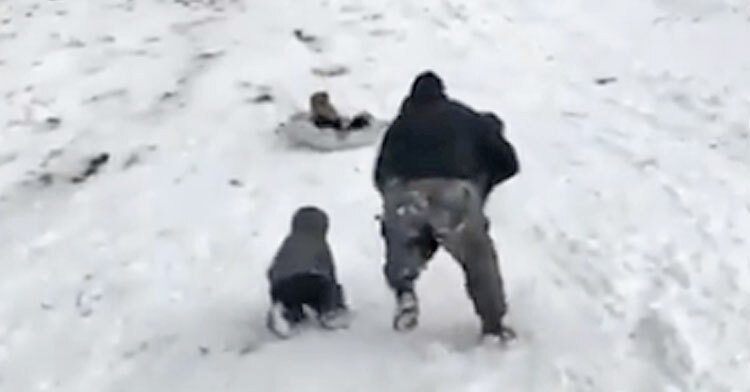 As the sled gets closer and closer, the man grabs the other child’s arm, preparing to jump. 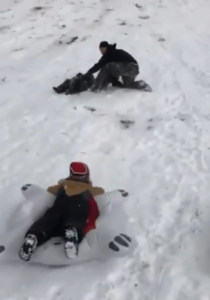 Then, right before the impending collision, he leaps into the air with both children, barely clearing the sled as it glides underneath them. 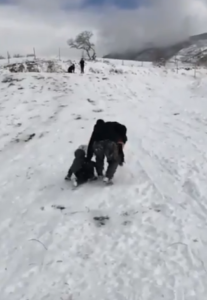 The child on the sled is completely fine, while the other two appear stunned but uninjured. Dad, on the other hand, looks shocked by what he just managed to do. 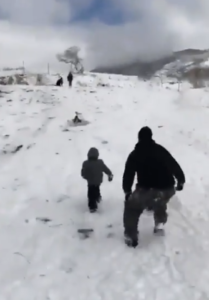 Millions watched the video and marveled at the man’s reaction time, praising his athleticism and calling him the father of the year. Honestly, he probably wouldn’t have any problems getting work as a stuntman. All moms and dads are superheroes in their own way, though the description is much more literal when it comes to this guy. Great job, Dad, for helping those kids avoid a nasty crash! 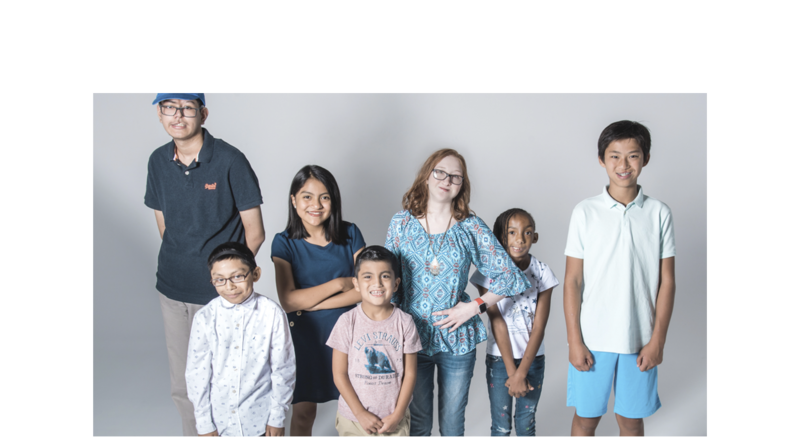 Watch the action-packed footage for yourself in the clip below and share with other protective parents who can relate.